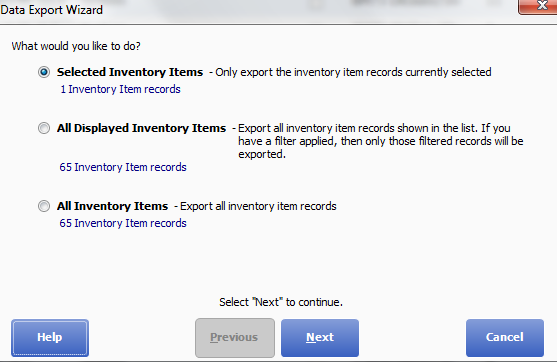 1) Within your Quickbooks dashboard, hover over 'Inventory', then select 'Item List'. 2) You'll see a listing of the inventory you currently have within Quickbooks. To narrow down specific items you'd like to export, press and hold the 'Shift' key while clicking on your items. To select items in bulk, use the search bar or create a filter. 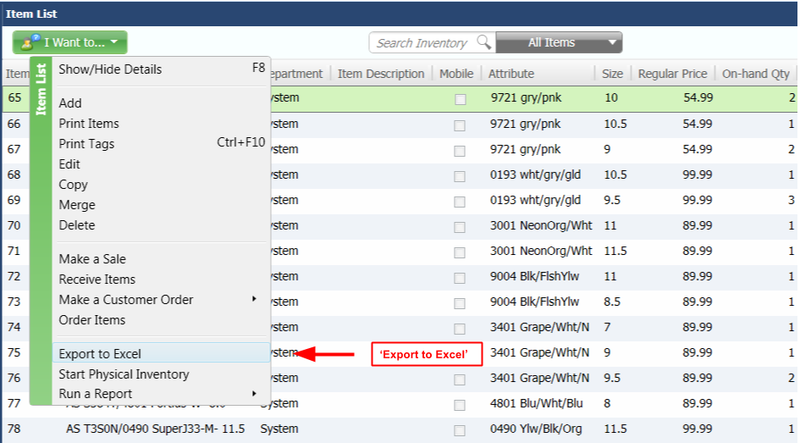 3) Select 'I Want to...' and click 'Export to Excel'. 4) You can export your entire inventory list or only the specific items you selected. 5) Click 'Add or Select a Mapping'. 6) Use the checkboxes to customize the fields to be exported. For BoxFox to properly recognize your items, you need to include UPC, title, quantity, and size (if applicable). Fields like brand, price, and cost are helpful as well. You don't need to include other columns that don't apply. Please make sure the UPC's you export are from the manufacturer (not your own store codes). When you've selected these corresponding fields, click 'Save'. From there, you'll be prompted to export your inventory data. 7) By default, Quickbooks adds an extra 0 as the first digit in your UPC. You can quickly remove this with an Excel forumula. Click in the cell to the right of your first UPC and type '=RIGHT(D2, LEN(D2)-1)'. Hit 'enter' and watch the leading zero get removed. 8) Double click the bottom right corner of the cell - this will apply the formula to all cells in the column. 9) Highlight the entire new UPC column you just made and click 'copy'. Once you've copied the entire column, click 'Paste Values' and paste as 'Text'. You can now delete your original UPC column, leaving only the new one. 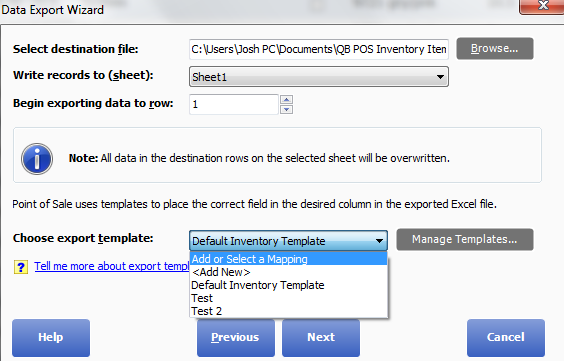 10) You can save your inventory list as a .CSV or Excel file. Before you do, please make sure your UPC's display properly within the spreadsheet. To help format your inventory data for BoxFox, you can download a template spreadsheet here. You can also access FAQ's for selling inventory on BoxFox.